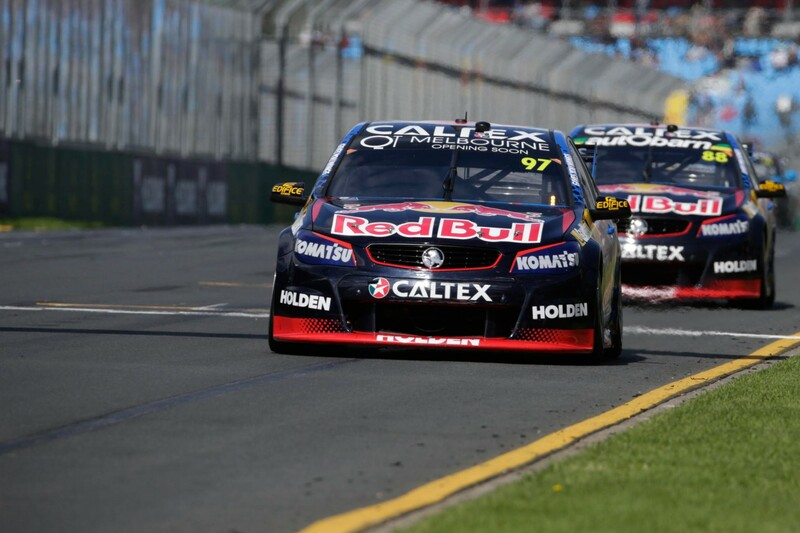 Shane van Gisbergen is one-up on his new teammate Jamie Whincup this week, stealing the lead from the pole sitter in the first race at Albert Park. Whincup got a good jump from pole position after the 2x2 rolling start and sailed away from the field. 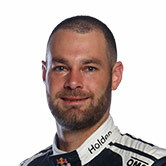 Van Gisbergen made a big move early, rounding up a number of cars in one corner to take second place, before an early safety car bunched the field. The quick Kiwi was strong on the restart and was ultimately able to sneak in front of Whincup, the six-time champ making a rare mistake and locking up under pressure to see his teammate roll past at turn 13. There was the usual chaos at the start of the race with Jason Bright the first victim of the 11-lap outing, turned around at the first corner. Another smoky drama for Todd Kelly saw his Nissan Altima parked at turn one and triggering the Safety Car. The #7 dropped an oil line yesterday in practice leaving Kelly stranded on the circuit. Reigning champ and last year’s dominant winner Mark Winterbottom had a tough start, tapped by Fabian Coulthard fighting up the front and finishing 21st. Coulthard looked on track for a podium and set the fastest lap of the race, but was passed by Chaz Mostert on the second last lap, the Supercheap Auto driver taking third. Van Gisbergen crossed the line with a 0.52sec gap over Whincup, with Mostert, Coulthard and Scott Pye behind. Sixth placed Garth Tander was a big mover after starting 15th. The finishing order from this race sets the grid for the second, taking place this evening at 6.20pm local time. The weekend’s racing is non-championship, though points are awarded for each race to determine an event winner on Sunday.